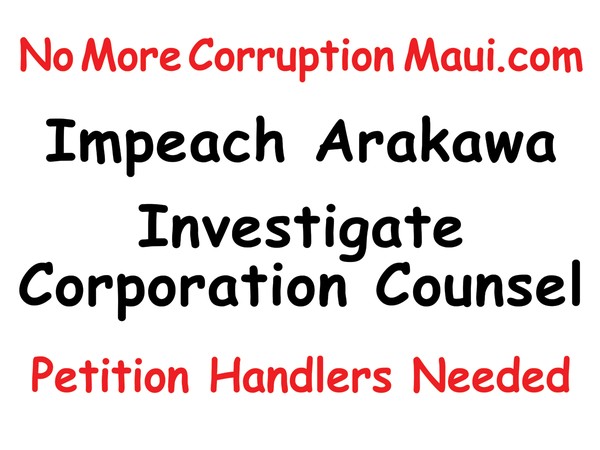 A new citizen's petition initiative has begun to flush corruption from OUR Maui County government. Please enter your contact info below and we'll get back to you soon with info on where you can sign our petitions or how to become a Petition Handler. If you don't see our email in your inbox look in your spam or promotions folder. Click YES if it gives you the option. We'll never spam you or share your info. Unsubscribe at anytime by clicking the unsubscribe link found in every email.